Bored? Don't know what to do with yourself? Getting together with your buddies at the local Irish pub to enjoy a game of darts is always a good option. No need to stress your muscles or worry about your physique because you can be great at darts with a beer belly. In fact, it's kind of a prerequisite for being good. Scratch the beer and bar ambience and you've got Darts 3D – one of the most realistic darts simulators for Android out on the market. Or is it? I don't if it's the weather finally having an effect on, but I've been spending way too much time playing on my smartphone and Galaxy Tab. And although the big and popular RPG games have been sucking up most of my time, it's nice to play a simple and straight forward game on occasion, especially when it comes with multiplayer. But how does the game perform? 301: You have to reduce the points exactly to 0. Start off by hitting a double i.e. the outer ring of the board. And as if things weren't hard enough as they were, there is another challenge: the last throw has to hit either the bullseye or double. Sounds complicated and, well, it really is! 501: Just like the 301 game except you don't have to hit the double in the beginning. Cricket: Here you have to concentrate on the numbers 15, 20 and the bullseye. 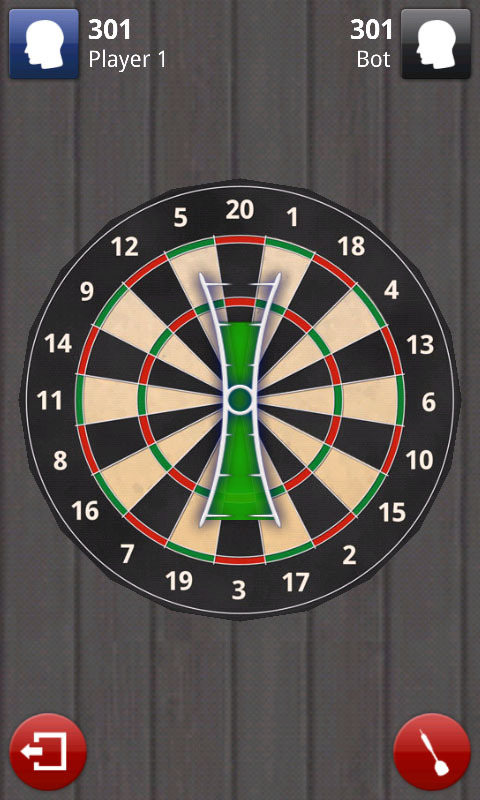 You have to hit the numbers and bullseye a total of three times (not necessarily in a row) to open up the dartboard. Your opponent has to try and lock the boxes back up by also hitting them three times. The one that hits all of the segments on the dartboard wins the match. In single-player mode you're up against the CPU, who is hard to beat even in medium difficulty levels! So any game against the computer is guaranteed to be a tough cookie to crack. In addition, you have the option to play against no more than one friend at a time. Adding up to four players would have been a nice addition, though! The multiplayer mode works really well and the app found me someone to play against within seconds. You can either play against someone specific or just play anyone at random. The developers even went so far as to add a chat function to the multiplayer. Five stars may seem like a bit much for a simple darts game, so let me explain my logic here. When I rate an app, I don't look at how useful an app is for me personally. Not everyone is a Darts fan, but that doesn't mean that Darts 3D doesn't deserve a good rating just become the game isn't as popular as Angry Birds. Darts 3D works perfectly and is bound to keep every darts fan happy, which is exactly why it deserves all 5 stars. There's nothing to whine or complain about here either. The graphics are awesome for a dart game. First, you set up your shot just right with the help of a crosshair, then you adjust the strength of the shot with the duration of you pressing the shoot button. The arrow follows the trajectory and speed you map out for. That's definitely an effective and good set of controls. The only annoying thing is that every time you try to move the crosshair, you end up accidentally moving the dartboard instead. Frankly, I don't see the point in moving the darboard in the first place because it changes absolutely nothing. 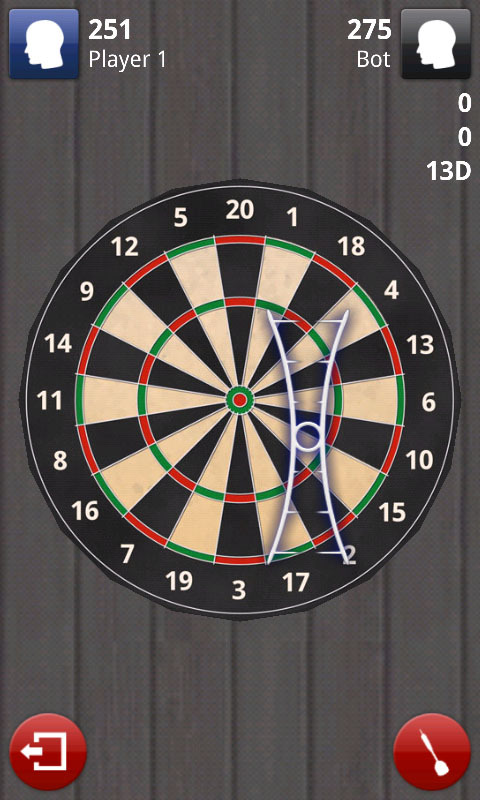 On the whole, though, both the controls and graphics are in good shape in Darts 3D! Excellent! 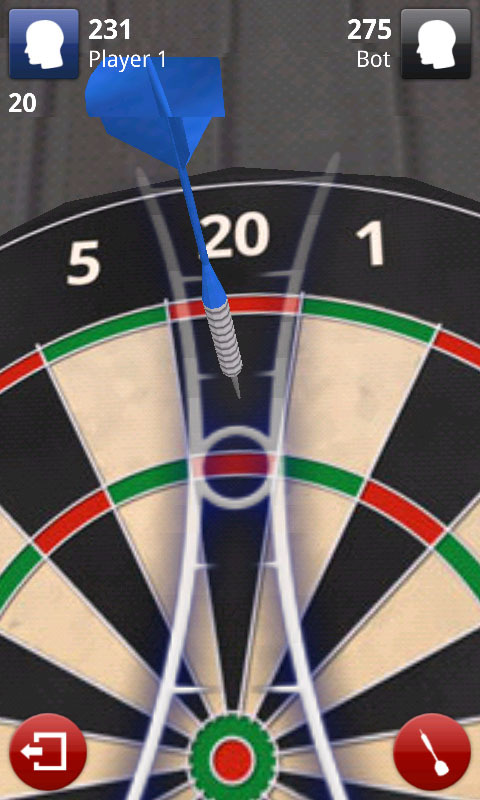 Darts 3D starts up in a flash and everything runs smooth as butter. Wonderful animations and absolutely no reliability issues. Now isn't that something for a change? 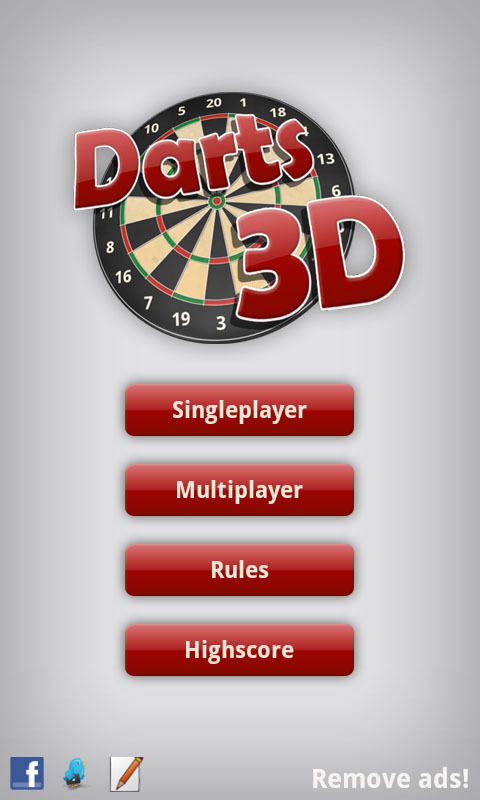 Darts 3D is free, but comes with integrated ads and can be downloaded from the AndroidPIT App Center.